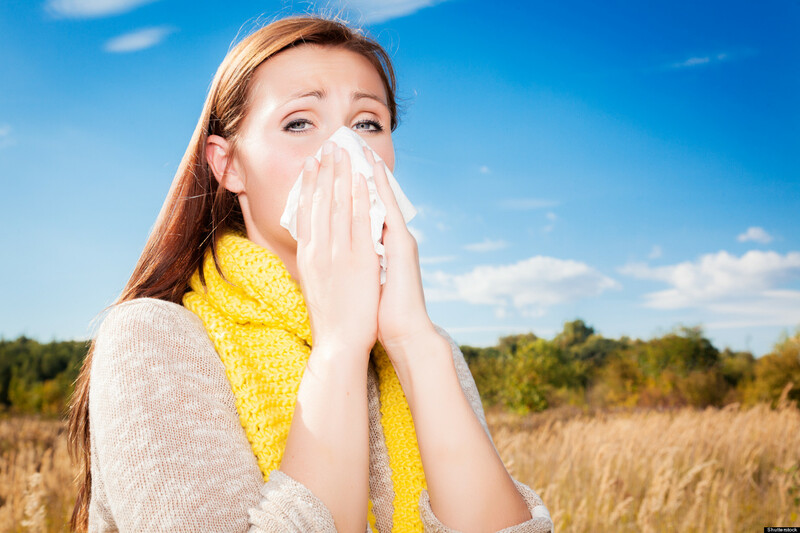 Any changing season brings with it an array of allergies. An allergy is caused due to an overaggressive immune response that is started by consuming certain food, inhaling pollen or touching certain substances. The most common allergy is by inhaling allergic substances and that causes runny nose, watery eyes, sneezing, stuffy nose, headache etc. For everything it is not possible to run to doctor. So there is no harm in trying out the natural remedies instead and if it works for you then it will be a great solution. There are different types of natural remedies for seasonal allergies and different people might benefit from different remedies. Therefore you could try the following remedies more than once and then conclude which one suits you the best. 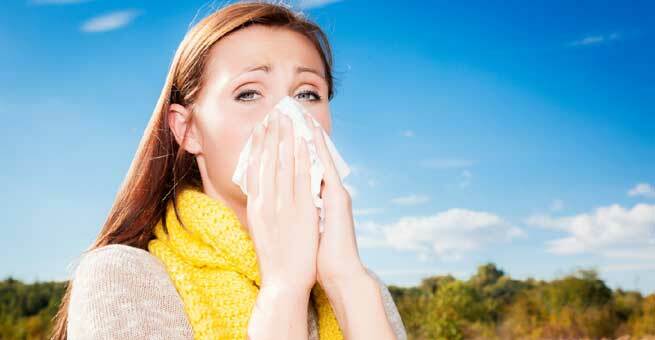 Also Read – Do you want to Sneeze Out your Sneezing Allergy? 1. Peppermint: Peppermint oils as well as mint tea are great to give you relief from seasonal allergy. It relaxes the respiratory system and makes the breathing easier. 2. Apple Cider Vinegar: The apple cider vinegar is being used from ages to treat seasonal allergy. Apple cider vinegar helps in decreases the mucous production and also cleanses the lymphatic system. Method: Take organic, unfiltered apple cider vinegar- 1 teaspoon with “The Mother” and consume it 3 times a day. 3. Honey: It is said that natural honey is very good for the health and to prevent seasonal allergy one should consume honey as it will help the body to adapt to the allergens present in the environment. 4. Neti Pot and Saline Rinse: Neti pot will have sterile solution in it which will help in flushing out the sinuses of allergens and irritations. You have choice of using pre-made saline rinse or can make a fresh one by dissolving sea salt in boiled distilled water. 5. Turmeric: Turmeric is a natural anti-inflammatory and it soothes fatigue as well as aches that are associated with seasonal allergy. 6. Flavonoids, like Quercetin: Include a lot of flavonoids in your diet as they help in stabilizing the mast cells in order to keep them from releasing histamine. It is also a potent antioxidant which will aid in the reduction of inflammation. Apples, blueberries, apricots, raspberries, strawberries, pears, black beans, onions, parsley, cabbage, pinto beans, and tomatoes are the food sources of flavonoids. 7. Fish oil supplement: Take fish oil supplement for a month; this will lower the levels of leukotrienes, which happens to be the chemical that contributes towards the allergic reaction. 8. Cultured/probiotic foods: Add more of cultured/probiotic food in your diet. Seasonal allergy is a result of an imbalance of the immune system basically, that leads the body to react strongly to the stimuli. Beneficial bacteria in the gut will help in reducing the allergies to a great extent. 9. Acupuncture: Acupuncture is great to relieve hay fever as per studies. The study suggests that some of the allergy sufferers who were assigned to a dozen acupuncture sessions had more symptom relief and had used less antihistamine medication compared to the others who got no treatment or ineffective treatments. 10. Make changes in your diet: Eliminate certain ingredients from your diet completely. The foods to eliminate are Chocolate, bananas, peanuts, sugar, red meat, wheat, alcohol as well as citrus fruits. 11. Steam: If you have severe sneezing and fever symptoms, then try steam. Put some decongestant flowers or herbs like eucalyptus, mint or New England Aster into the hot water. Take a towel and cover it over your head, create a tent and breathe the steam from the hot water. Make it a point to wear sunglasses and hat when you go out as these will help you in keeping the pollen away from the eyes that makes them watery and itchy. Avoid outdoor exercises in the mornings as people with allergies succumb to sneezing and itching in the morning, because the pollen from the trees are released during this time the most.